The RSA6100A Series will help you to easily discover design issues that other signal analyzers may miss. The revolutionary DPX spectrum display offers an intuitive live color view of signal transients changing over time in the frequency domain, giving you immediate confidence in the stability of your design, or instantly displaying a fault when it occurs. 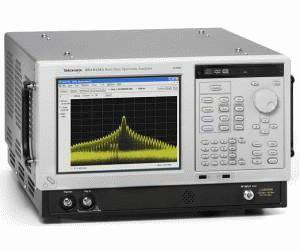 You get the functionality of a wide-band vector signal analyzer, a high performance spectrum analyzer and the unique trigger-capture-analyze capability of a Real-Time Spectrum Analyzer — all in a single package.